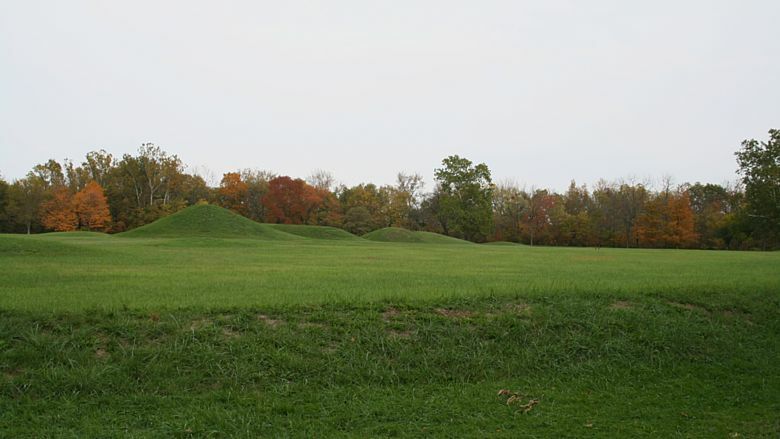 Inside an earthen enclosure over 2000 feet wide, a concentration of burial mounds yielded a wealth of artifacts when excavated. 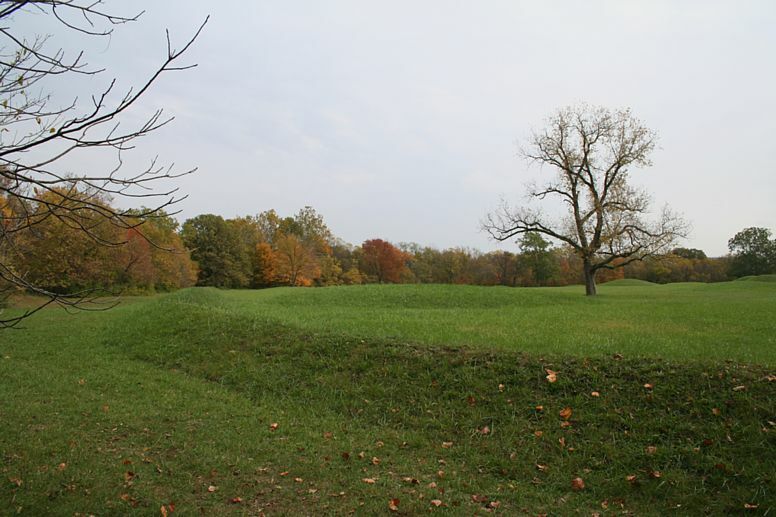 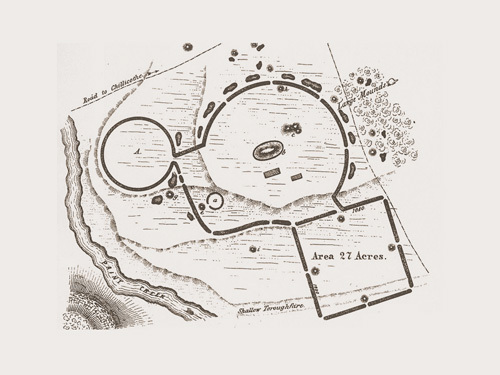 Mound City Group is one of several ancient earthworks now owned by the National Park Service. This image views the enclosure wall and several mounds from the NW corner, looking east. The corners of the enclosure walls are somewhat rounded. This image views Central Mound, the tallest mound. 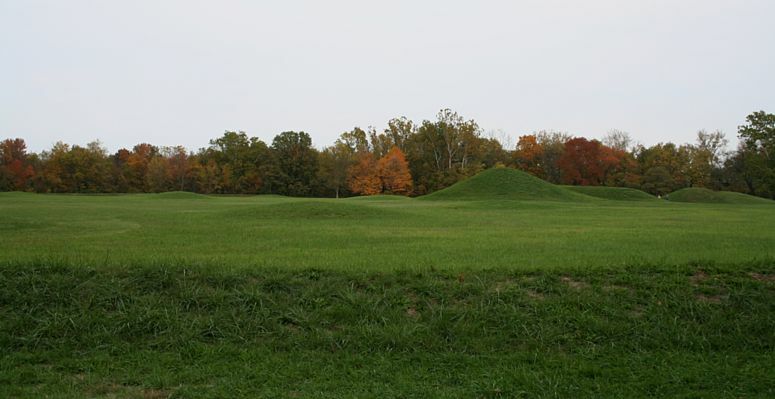 From the largest Mound City mound to Hopewell Mound equals 0.0002 circumference distance, 1/5,000th. 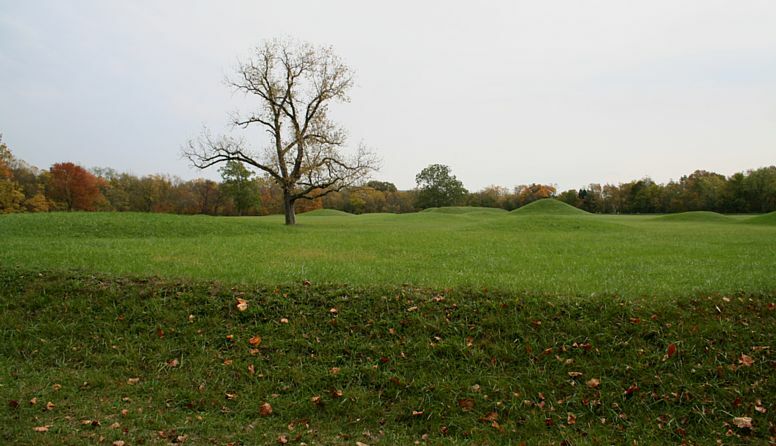 Google Earth placemarks file displaying GPS readings.